The final Dark Phoenix trailer is finally here! Here’s a synopsis: This is the story of one of the X-Men’s most beloved characters, Jean Grey, as she evolves into the iconic Dark Phoenix. During a life-threatening rescue mission in space, Jean is hit by a cosmic force that transforms her into one of the most powerful mutants of all. Wrestling with this increasingly unstable power as well as her own personal demons, Jean spirals out of control, tearing the X-Men family apart and threatening to destroy the very fabric of our planet. The film is the most intense and emotional X-Men movie ever made. It is the culmination of 20 years of X-Men movies, as the family of mutants that we’ve come to know and love must face their most devastating enemy yet — one of their own. The film stars Sophie Turner in the title role with James McAvoy, Michael Fassbender, Jennifer Lawrence, Nicholas Hoult, Tye Sheridan, Alexandra Shipp, Kodi Smit-McPhee, Evan Peters, and Jessica Chastain. The film hits theaters on June 7, 2019. Be sure to check it out! Alexandra Shipp is speaking out to clarify comments that she made at WonderCon about her X-Men character Storm. The 27-year-old actress was asked for her thoughts on Storm and the other X-Men characters joining the Marvel Cinematic Universe now that Disney owns Fox. “I would and I wouldn’t (like it), because Storm barely has anything to say as it is. I don’t know about you all (other actors) but like we never talk. So it would be really nice if we weren’t piled into yet another jam packed cast, in which you only see me in the back of the shot like f–king sasquatch,” she said (via Comic Book Movie). Alexandra also responded to fans hoping for a Storm and Black Panther romance. Now, Alexandra is speaking out in a statement on Instagram after receiving some backlash for her comments. Nick Robinson's 'Love, Simon' Wins Outstanding Film at GLAAD Media Awards! Nick Robinson and Josh Duhamel walk the carpet at the 2019 GLAAD Media Awards on Thursday (March 28) at the Beverly Hilton Hotel in Beverly Hills, Calif. 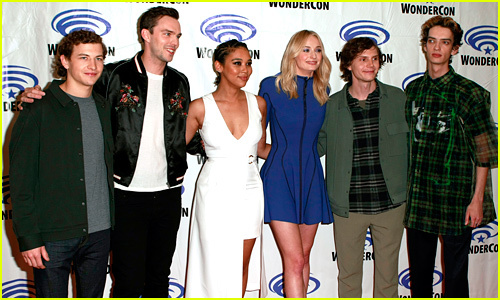 The guys were joined at the event by Love, Simon co-stars Alexandra Shipp, Keiynan Lonsdale, Clark Moore, Jorge Lendeborg Jr., Natasha Rothwell, as well as director Greg Berlanti with husband Robbie Rogers. The movie won the award for Outstanding Film – Wide Release, beating out Blockers, Crazy Rich Asians, Deadpool 2, and The Girl in the Spider’s Web. 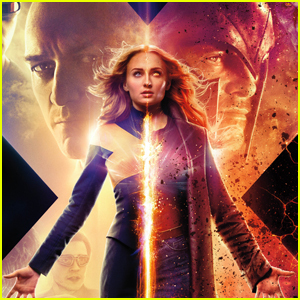 'Dark Phoenix' Releases New Trailer & Poster - Watch Here! The new trailer for the upcoming Dark Phoenix movie has been released – and Sophie Turner is showing off her powers! In Dark Phoenix, the X-Men face their most formidable and powerful foe: one of their own, Jean Grey (Turner). During a rescue mission in space, Jean is nearly killed when she is hit by a mysterious cosmic force. Once she returns home, this force not only makes her infinitely more powerful, but far more unstable. Wrestling with this entity inside her, Jean unleashes her powers in ways she can neither comprehend nor contain. With Jean spiraling out of control, and hurting the ones she loves most, she begins to unravel the very fabric that holds the X-Men together. Now, with this family falling apart, they must find a way to unite — not only to save Jean’s soul, but to save our very planet from aliens who wish to weaponize this force and rule the galaxy. The film also stars James McAvoy, Michael Fassbender, Jennifer Lawrence, Nicholas Hoult, Tye Sheridan, Alexandra Shipp, Kodi Smit-McPhee, Evan Peters and Jessica Chastain. Dark Phoenix hits theaters on June 7 – watch the latest trailer below!